Nazareth Housing cannot accept families directly. You must be referred by an agency below before being placed in one of our shelters. Nazareth Housing provides emergency shelter to families who have lost their housing and face compounding barriers to housing stability. Transitional housing solves an immediate need for these families in crisis — a safe living situation. 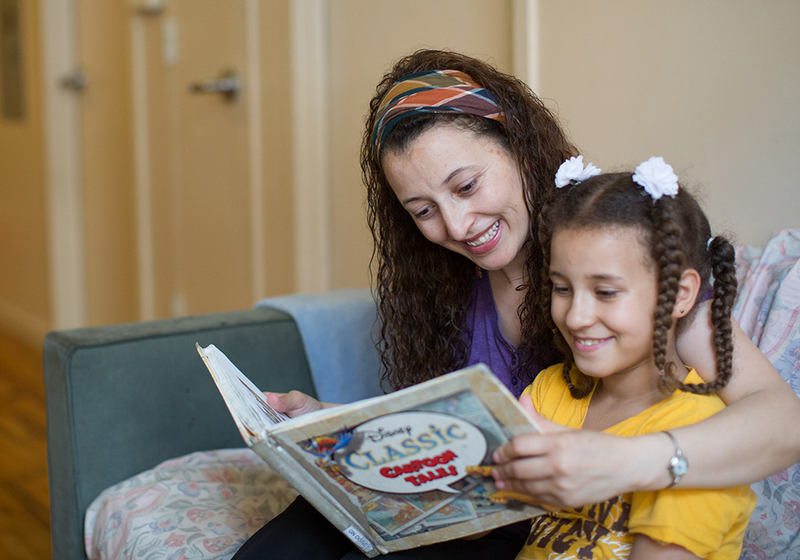 With the ultimate goal to create long-term stability and prevent a return to homelessness, Nazareth Housing staff work closely with families while they are living in shelter to address and eliminate barriers to housing stability. Shelter residents have access to a wide range of educational programming and resources to build new skills and reinforce existing strengths. With this holistic approach, shelter residents at Nazareth Housing move to permanent housing 26% faster than the city-wide average. With a track record that spans over thirty years, Nazareth Housing has a well-developed approach to stabilize and strengthen families recovering from the multiple losses and traumas of homelessness. Transitional family housing affords families a critical safety net while they work one-on-one with staff members to build skills and work towards safe and affordable housing. Below is a list of shelters in New York City and the individuals they assist. I have no place to stay tonight what should I do? Families with dependent children should go directly to PATH (Prevention Assistance and Temporary Housing office). You will need to bring your children with you. The following documentation will be needed: birth certificates, immunization records, social security cards, photo ID and names and addresses of people you stayed with over the last 24 months. PATH is the Prevention Assistance and Temporary Housing office which is the Department of Homeless Services intake location for adult families; single pregnant women over age 18 and families with dependent children under the age of 21. Can I get into Nazareth Housing shelter if I go to PATH? Not necessarily. If you are over the age of 18 with dependent children or pregnant you may receive emergency shelter for the night or a 10-day conditional placement until you are deemed eligible by Department of Homeless Services for shelter placement. How do I get to PATH? Subway directions: 2,4,or 5 train to 149th Street Grand Concourse. Walk north on Grand Concourse to E. 151st Street. Make a left on E. 151st Street and walk towards Walton Ave.
Are there any shelters I can go to without having to go through PATH? If you or your child are a victim of domestic violence and require emergency placement to ensure your safety, you should contact Safe Horizon at (212) 577-7700. What if I am an unaccompanied youth under the age of 17? Youth under the age of 17 with no children and are in need of a safe place can go to Covenant House. Covenant House is located at 461 8th Avenue, New York, NY 10001. Covenant House has a crisis center. Covenant House NINELINE counselors are available every day. They utilize a database of more than 30,000 social service and child welfare agencies so callers can be connected with immediate assistance anywhere in the United States. Call (800) 999-9999 or visit www.NINELINE.org.